The Mens Nucleus Jacket from Rab is a warm and comfortable mid layer fleece suitable for wherever your next adventure outdoors takes you. This outdoor fleece features a full length zip for added accesibility along with being made from a mid-weight fleece material providing optimum warmth to stretch ratio. 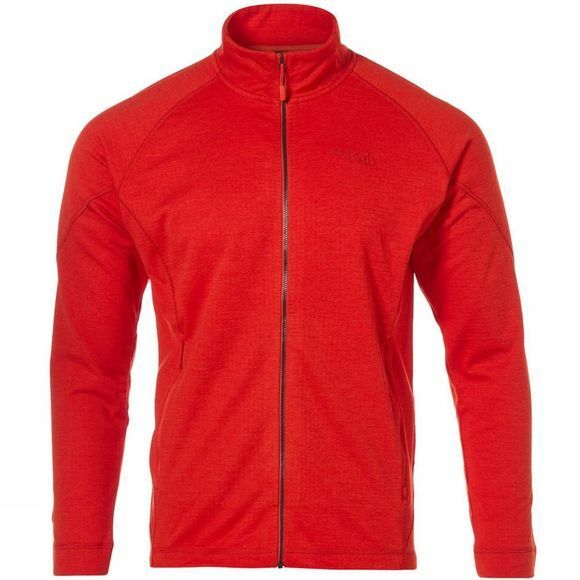 No matter the activity you are undertaking from abseiling to hiking down forest paths, this full length fleece has all the feautres you may require. Not the right fleece you're looking for? Broswe through our large collection of warm fleeces for your next adventure.